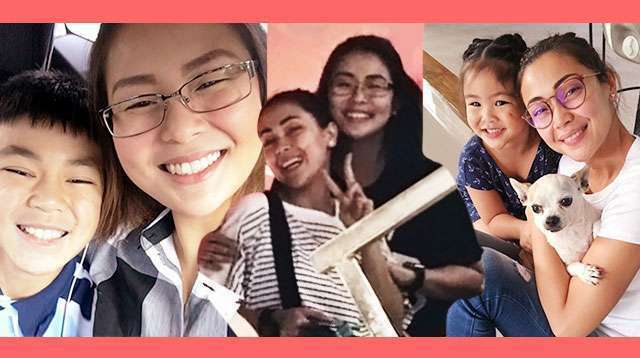 Make the most out of the weekend and plan a day out with the kids! Score magazines and books on sale! 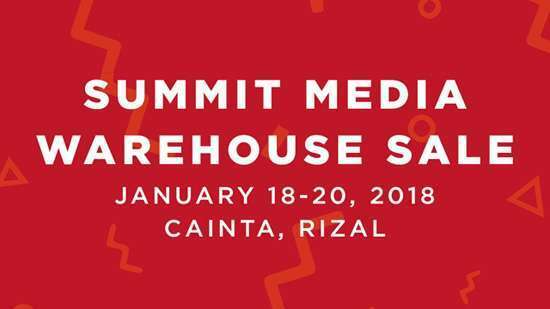 Summit Media is having its first-ever Warehouse Sale this weekend, from January 18 to 20 at the Summit Media warehouse, at the RDC Business Complex, Brgy. San Andres, Cainta, Rizal. Score magazines and books at a discounted price, plus get freebies along with your purchase. Love magazines like Yes!, Real Living, and Cosmopolitan? Familiar with books like Yup, I Am That Girl by Maine Mendoza, Etiquette for Soshal Climbers, Letters to My Children, Life Principles by Injap Sia, and the Dream Big children's book series? They're all from Summit Media! Find more details including a guide on how to get to the warehouse for commuters and non-commuters on the Summit Books Facebook page. See you there! 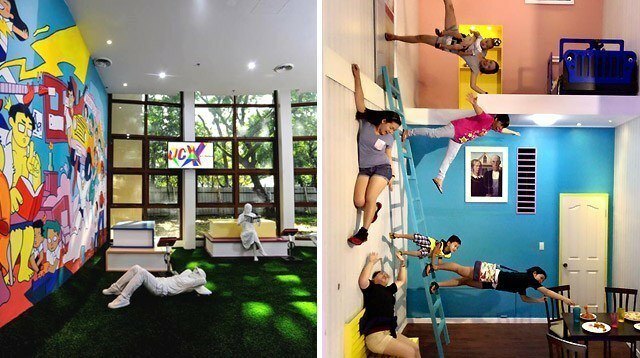 Spend a day exploring Instramuros with the kids and visit the Bahay Tsinoy Museum! They're celebrating their 19th anniversary this weekend, so entrance tickets on Friday, January 19, is only P19! Feel transported amidst the life-size dioramas depicting Chinese life in the Philippines. Would the kids be able to spot the vendor selling siopao? 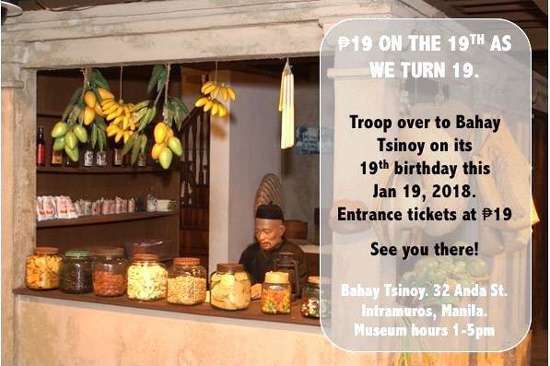 Bahay Tsinoy Museum is located at 32 Anda corner Cabildo St., Intramuros, Manila. 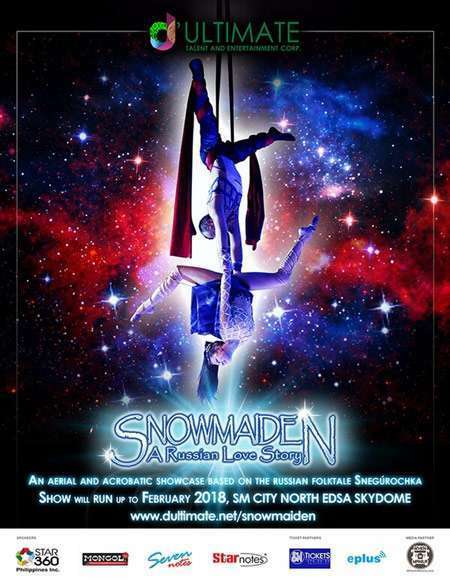 Snowmaiden: A Russian Love Story is performing this Friday, January 17, at the Skydome at SM North Edsa, Quezon City. For young and old, Snowmaiden is an acrobatic and gymnastics show spectacular on one of Russia's most loved fairy tales. 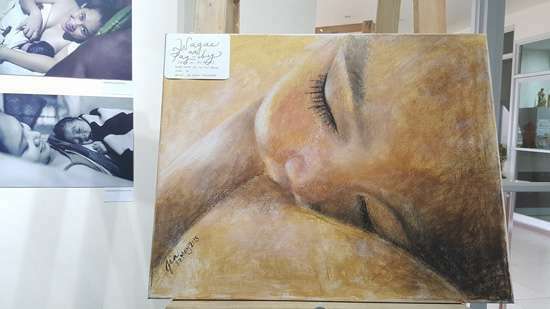 It's the story of a girl made of snow whose life takes a different turn after discovering love. Find tickets, priced at P350, via SM Tickets outlets or online. 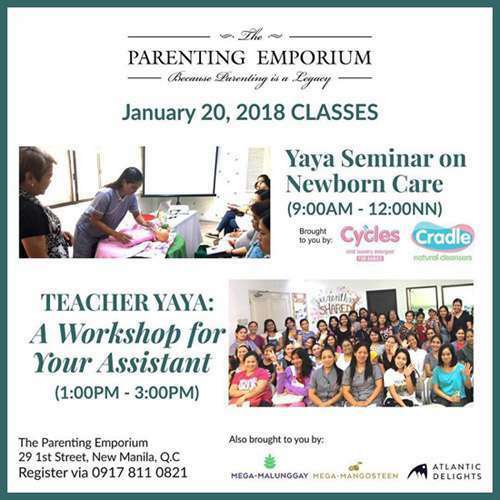 It's a day of learning for Yaya at The Parenting Emporium in Quezon City this Saturday, January 20. The Yaya Seminar on Newborn Care is happening in the morning where lessons include newborn care skills, breastfeeding support, appropriate play activities, and developmental stages of young children. 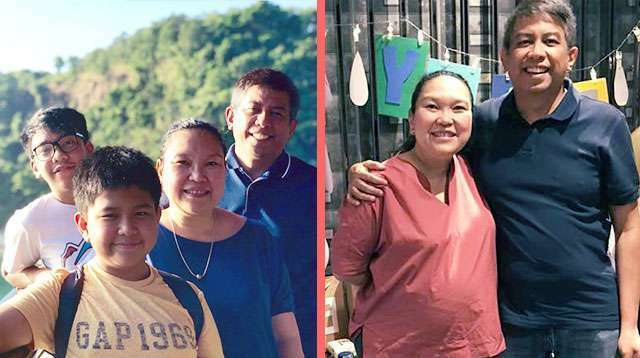 Then in the afternoon is Teacher Yaya: A Workshop for Your Assistant where lessons include understanding child behavior, responding and playing with children, screen time in kids, and more. Fee for the morning class is P1,500 and P850 for the afternoon class. To register, call 09178110821. 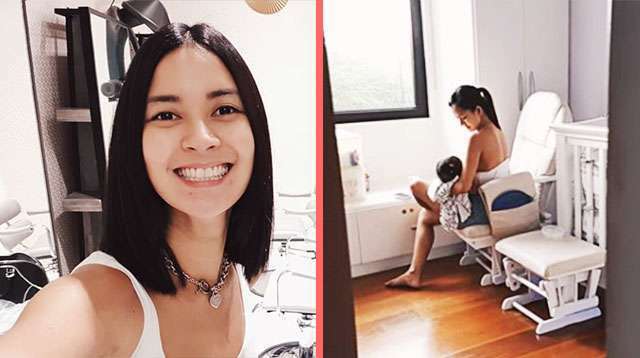 LATCH Los Baños will be holding a Best Beginnings in Breastfeeding class on Saturday, January 20, at the Continuing Education Center, University of Los Baños, Laguna from 12:30 to 5 p.m. Moms are encouraged to bring their babies along so that the experts can help correct baby's latch and position, if needed, at the end of the class. Class contribution is P250. Register here. Got a curious child? 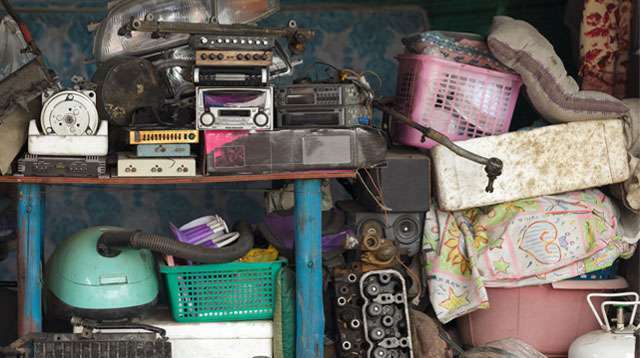 The Mind Museum's Makerspace Pilipinas is holding a workshop this Saturday, January 20, 1 to 4 p.m., at The Mind Museum in Taguig City that's sure to amaze your little tinkerer. At the Making Paper Machines workshop, kids will learn about gears, cams, and levers, and make them out of paper to create a simple machine. Cool, right? Workshop fee is P100. 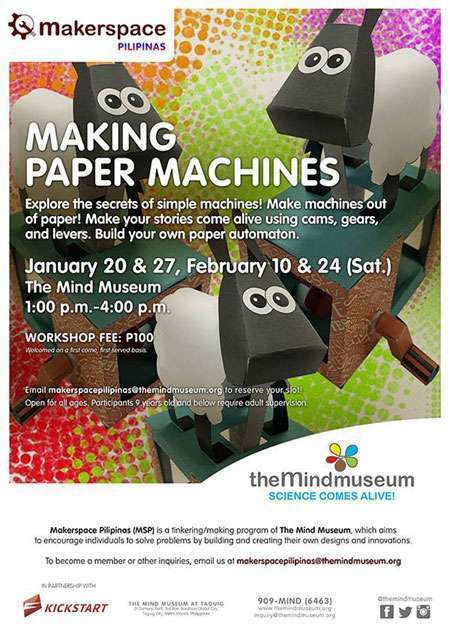 To register, email makerspacepilipinas@themindmuseum.org. Looking to redecorate or spruce up your home? 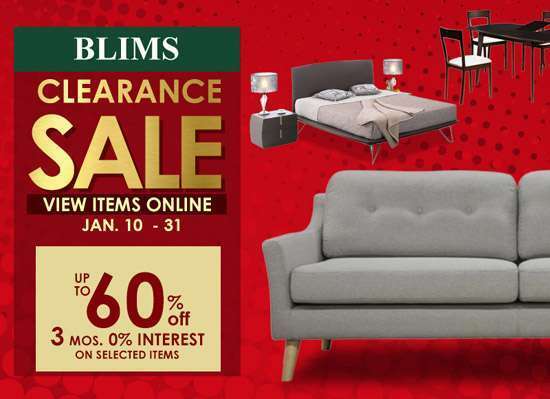 BLIMS is having a Clearance Sale from January 10 to 31 where you can score up to 60% off on selected furniture. You can browse through the pieces on sale for each BLIMS branch here via their website. There's an End of Season Clearance Sale over at Toys "R" Us. 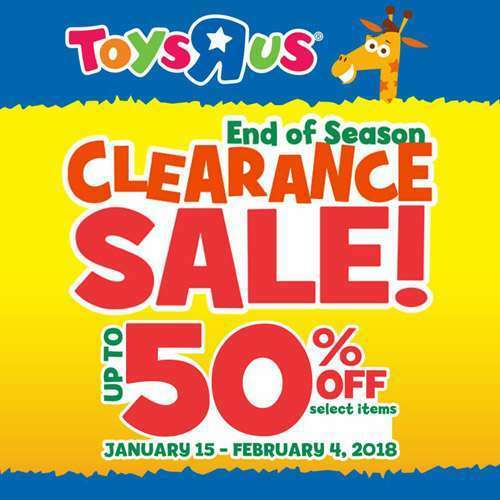 Happening from January 15 to February 4 in Toys "R" Us stores, selected items will be up to 50% off.